Siegel+Gale today released its fourth annual Global Brand Simplicity Index after surveying more than 10,000 consumers in North America, Europe, Asia and the Middle East. 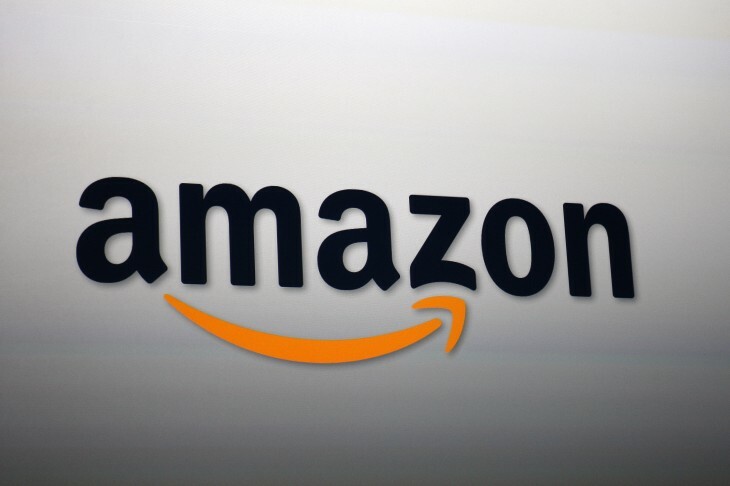 Three technology firms made the top 10 list: Amazon, Google, and Samsung. The last two companies naturally bring us to two three brands: Apple, Nokia, and Bing. 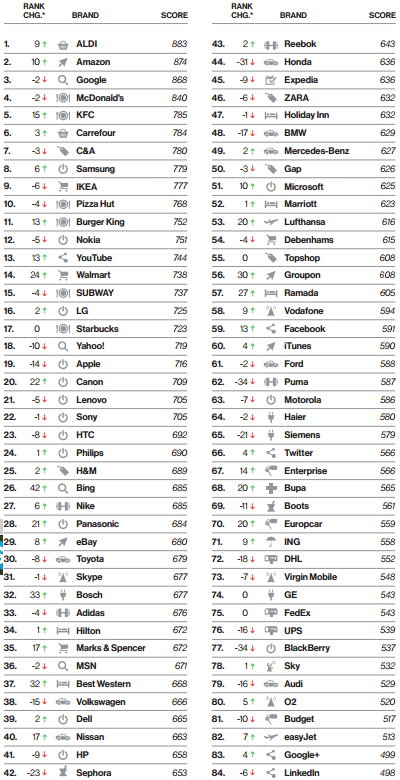 Apple, which was in the top 10 last year, fell 14 spots to 19, letting Samsung overtake it. Though still atop the list in India, Nokia also fell out of the top 10 in the global rankings (it’s at number 12 now, down from seventh place last year). Microsoft’s search engine meanwhile continued to climb: it rose 42 spots this year to 26 as respondents said they liked its more visual approach, intuitive qualities, and ease of navigation. Other notable technology mentions include: YouTube at 13 (up from 26th), LG at 16 (up from 18th), Yahoo at 18 (down from 8th), Canon at 20 (up from 42nd), Lenovo at 21 (down from 16th), Sony at 22 (down from 21st), HTC at 23 (down from 15th), Panasonic at 28 (up from 49th), eBay at 29 (up from 37th), Skype at 31 (down from 32nd), MSN at 36 (down from 38th), Dell at 39th (up from 41st), HP at 41st (down from 32nd), Microsoft at 51 (up from 61st), Facebook at 59 (up from 72nd), iTunes at 60 (up from 64th), Motorola at 63 (down from 54th), Twitter at 66 (up from 70th), BlackBerry at 77 (down from 43rd), Google+ at 83 (up from 87th), and LinkedIn at 84 (down from 78th). You can read the full 35-page report for yourself here: Global Brand Simplicity Index 2013 (PDF).